Have you ever begun a journaling practice only to stop a few days later? Or maybe you even kept it up for weeks and months, but then got busy and abandoned it. What if the reason you stopped is that you just didn't have the right type of practice for where your life was at in that moment? You could test drive another method. Need fast and simple? Try Minimalist Journaling. This is by far the leanest version of journaling. Simply purchase a small journal (5.5 x 3.5 or 4 x 2.4) and keep it by your bedside. At the end of each day, write down the most important thought of the day. One thought per page keeping it to a single sentence. The rationale for only writing one thought per page is that all the white space keeps the journal feeling simple. And while initially boiling your whole day into a sentence may not feel simple, once you get in the rhythm, it becomes a powerful practice for capturing and recalling your most important thoughts. Want to get better at getting things done? Try Bullet Journaling. Bullet Journaling is a system for rapid logging developed by digital product designer, Ryder Carroll. The method brings your schedule, to do lists and aspirational goals into a single place that your mind can trust. Plus, in our mostly digital lives, there can be power in an analog system. While it takes a bit to learn the concept, once you have the hang of it, the system is fast and effective. Want to learn more? Check out: http://bulletjournal.com/. Need to unload a cluttered mind? Try Morning Pages. Artist, Julia Cameron, has a practice of unloading the mind first thing every morning that has become wildly popular with creatives. In her book, The Artists Way, Cameron writes: "In order to retrieve your creativity, you need to find it. I ask you to do this by an apparently pointless process I call the morning pages…the morning pages are three pages of longhand writing, strictly stream-of-consciousness." The thing about morning pages is that they are neither intended to be writing nor art. Instead, it is a kinesthetic exercise that helps your brain clear itself so that you can be more focused for the rest of the day. Want to become more positive? Try a Gratitude Journal. Many people having impact in the world credit a gratitude journal as being key to their success. Oprah Winfrey—who kept a gratitude journal for a decade without fail—says, "Be thankful for what you have; you'll end up having more. If you concentrate on what you don't have, you will never, ever have enough." Taking time each day to list a certain number of things we are grateful for changes our interior landscape and actually retrains what our brain focuses on. Some use a handwritten journal for the practice, but you can also go digital with an app like Gratitude 365. Don't enjoy writing? Try a Photo Journal. Photo journaling is the simple practice of taking daily photos and logging them somewhere that you can see them sequentially. The key to making photos a journaling practice is that you capture something specific so that you can see changes over time. Simple living blogger, Tammy Stroebel, has a practice of capturing her morning view each day. Noah Kalina takes a photo of himself each day. Others participate in a photo a day challenge. No matter what you decide to capture each day, Instagram, Tumblr, and the Day One apps are great platforms to post a daily photo. Or, if you prefer analog, simply keep the images on your device and have a photobook printed at the end of the year. 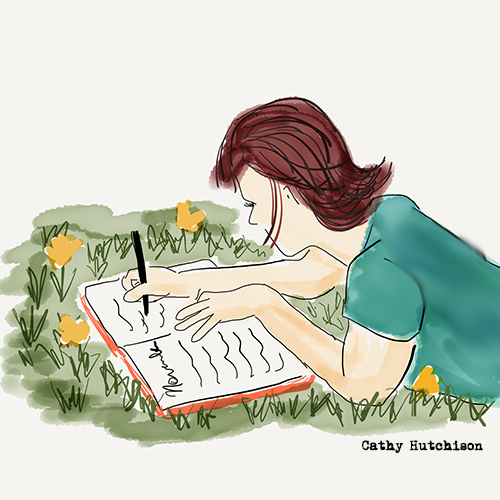 In our distracted world, journaling is a consistent pause-button that prompts us to get off of autopilot. It provides a window of reflection each day to keep us connected to the deeper things. Best of all, journaling creates a record, so that we can actually go back and see the forward motion in our lives.